The death of a loved one is always devastating, and requires a considerable amount of time to process, as well as to grieve. In the midst of planning funeral arrangements, it is often necessary to negotiate the complicated process of gathering the required documents to, for example, access bank accounts and receive any life insurance benefits. This point is where having an estate plan can be an invaluable source of information on how to proceed, and particularly who gets to make decisions about the deceased and his/her affairs. If the person had a will, the process of distributing and selling property may seem easy because the deceased provided directions on what to do. However, surviving family members are not permitted to independently execute the terms of the will. Further, if the deceased had no estate plan, the court must direct how the person’s assets and obligations will be settled. 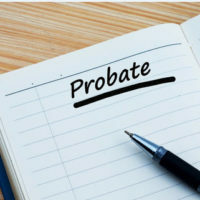 This process is called probate, and an overview of what the process is and a brief introduction on how it works will follow below. distribute any remaining assets to the beneficiaries. Essentially, the probate process exists to legally pass ownership of a person’s assets to his/her beneficiaries. It is also designed to manage and resolve the deceased’s financial affairs so that creditors get paid and the appropriate family members receive the rest of the assets clear of creditor claims. Not all assets, though, are subject to probate administration. Those solely owned by the deceased, or property with additional owners that do not have transition plans when an owner dies are considered probate assets and disposition must be handled by the court. Examples include sole-named bank accounts, retirement accounts without a named beneficiary, or assets held in a living trust. Florida has several types of probate administration, and the two most commonly used are summary and formal administration. Summary administration is available if the deceased’s estate is valued at no more than $75,000 in assets subject to probate, and if the creditors are to be paid or do not object. In addition, summary administration is an option if the deceased died two or more years ago and no previous probate administration occurred. Other estates must go through the formal probate administration process, which requires the appointment of a personal representative. Formal administration often takes about six months to complete, but can last for years if there are disputes among the beneficiaries or heirs. There is another process, called Disposition of Personal Property without Administration. This extremely simplified process does not require court involvement, but is only applicable if the deceased primarily owned property not subject to probate, except for funeral expenses up to $6,000 and medical bills from the last 60 days his/her life. The personal representative acts as a fiduciary, or person with ethical/trust obligations, to handle the administration of the estate. This person has a number of duties and obligations to fulfill, and is subject to legal liability if the probate administration is mismanaged. 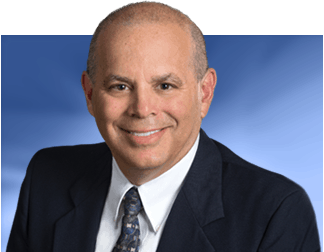 With very limited exceptions, anyone who is over the age of 18 and a resident of Florida at the time of the deceased’s death is qualified to serve as a personal representative. The deceased can designate someone to serve as personal representative if there is a will, and if not, the court will look to family members, starting with a spouse, to fill this role. The personal representative is entitled to compensation from the estate, and typically retains a lawyer to protect his/her interests since this person is liable to potential heirs/beneficiaries until the estate is settled and closed. Preparing for what happens to your possessions after death is a big responsibility that should not be taken lightly. Many legal ramifications come into play depending on the type, or lack, of estate plan in place. The Tampa law firm of Bubley & Bubley, P.A. 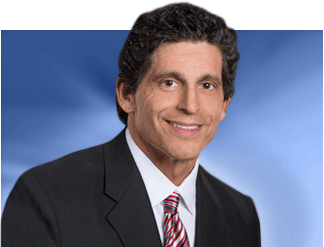 can help you formulate an estate plan that will address your goals and provide for the future of your family. Contact us today for a free consultation.